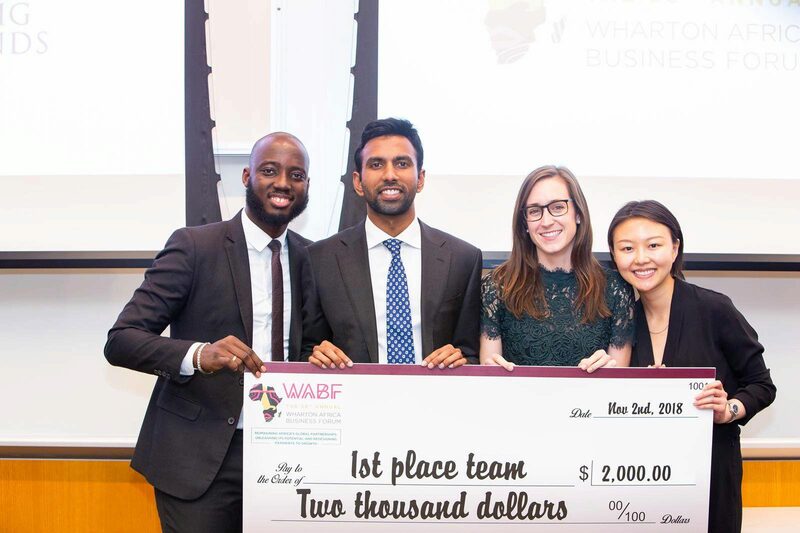 The organizers of the popular Wharton Africa Forum created a case competition based on a potential private equity investment into an African company. Students were asked to present an investment thesis on a potential investment in PZ Cussons, which is a real Nigerian company, publicly traded on the Nigerian stock exchange and majority owned by a UK PLC. 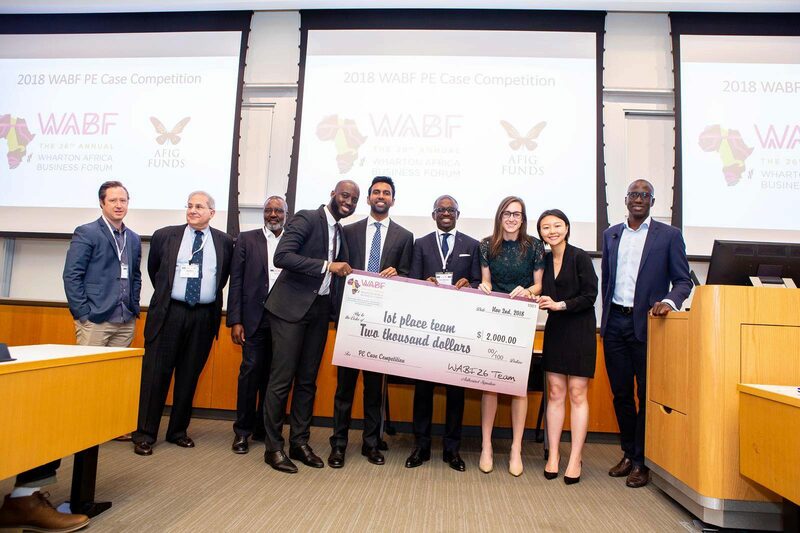 They were then judged by African private equity executives from Africa (Papa Madiaw Ndiaye, Head of AFIG and Lauder graduate), and Nkosana Moyo (former head of Actis and former Zimbabwean Presidential Candidate), and several other judges. 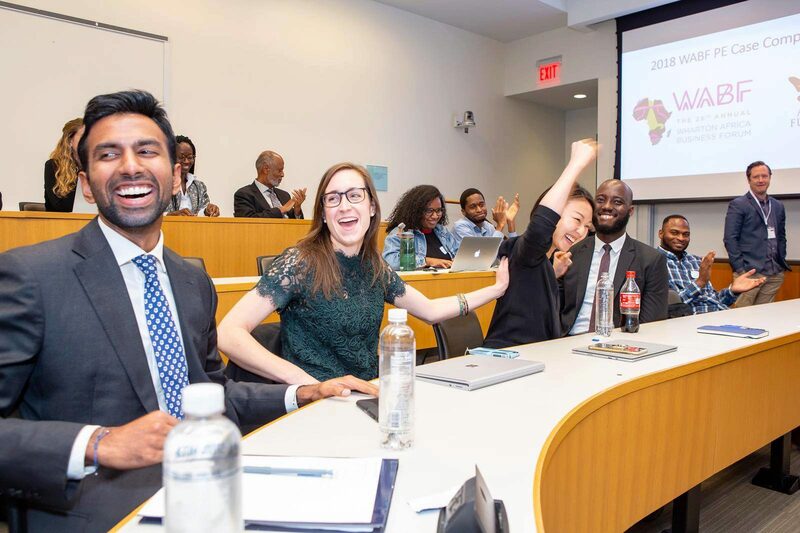 “Team Lauder” is a group of Lauder students who decided to combine their different expertise to compete: Lu Jiang (WG’20, China track, experienced in private equity), Girish Sankar (WG’20, LatAm track, experienced in private equity), Bakary Traore (WG’20, Global track, from Senegal, with work experience in Nigeria and also in finance prior), and Anneka Nelson (WG’20, Africa French track, experienced in Senegal working in solar). The group received commentary from the judges that one of the team’s strongest points was the chemistry and how they put together students with different expertise to work together – something they built over the last few months in the Lauder program. After two tough rounds of questioning about the case and assumptions, “Team Lauder” were selected as the proud winners of $2k! Congrats to all.